The “DeLorean in the Woods” that Matt featured recently, reminded me of this travesty near my house. This once-noble mid-80s Jaguar XJS HE V12 appears to have been not so much parked, as walled-in like a medieval witch - but not hidden away in someone’s back garden/forest/orchard/hen house, waiting to be discovered as a miraculous barn find; this thing is in full view of the main drag and visible to everyone in the community. 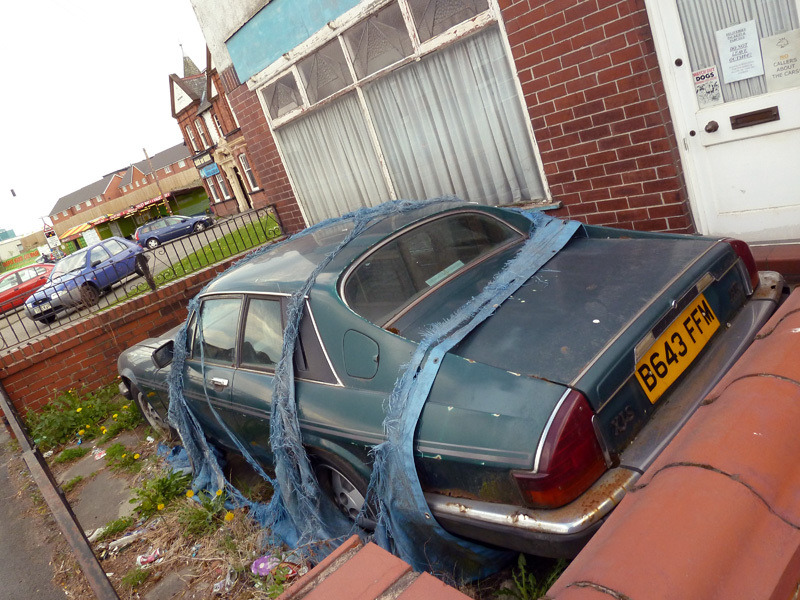 One glance at the Jag and you can immediately tell it’s beyond redemption, but it’s impossible to get close enough to see inside it without loitering. Those signs on the front door tell me that whatever’s inside there isn’t into small-talk. 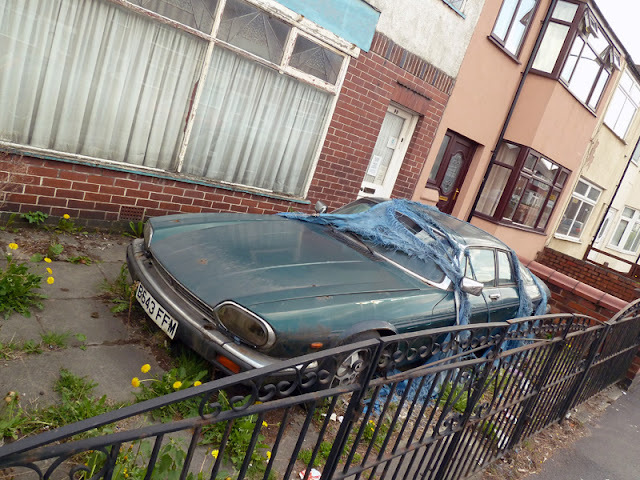 Sadly, this Jag exists in a purgatory that it doesn’t deserve, because XJSs aren’t rare enough yet to make near-derelicts like this one worth rescuing.